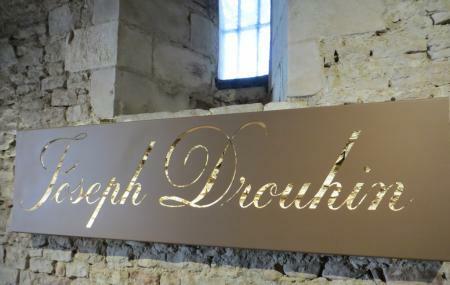 Joseph Drouhin is a famous wine producer based in France and this is his winery and vineyard that you can explore. The place is a little difficult to find but it is completely worth a visit. They have a huge collection that includes young and old wines both and that too from many other countries. The staff is knowledgeable and can speak good English too. They will take you along some of the Roman Wine Caves where you also get to see a wine press that was used to produce wines earlier on. The best part is the tasting session when you get almost 8 wines that are all too good. 29th April- Vineyard Discovery Tour- Cote de Beaune (max. 7 people)- EUR 129/ person (incl. VAT). 2nd May- Saturday “Surprise Day” Surprise Tasting (Max. 12 people)- EUR 50/ person (incl. VAT). 9th May- Wine Tasting Concert “Tastes of Elegance”- (Max. 30 people)- EUR 60/ person (incl. VAT). 9th May- Saturday “Surprise Day” Surprise Tasting- (Max. 8 people)- EUR 50/ person (incl. VAT). 20th May- Vineyard Discovery Tour- Cote de Beaune- (max. 7 people)- EUR 129/ person (incl. VAT). Visits only at 10:30 am, 2:00 pm and 4:00 pm everyday from Monday to Saturday. 29th April- Vineyard Discovery Tour- Cote de Beaune- 10:00 am. 2nd May- Saturday “Surprise Day” Surprise Tasting- 10:30 am. 9th May- Wine Tasting Concert “Tastes of Elegance”- 7:15 pm – 9:30 pm. 9th May- Saturday “Surprise Day” Surprise Tasting- 10:30 am. 20th May- Vineyard Discovery Tour- Cote de Beaune- 10:00 am. How popular is Maison Joseph Drouhin? People normally club together Musee De L'hotel Dieu and Basilique Collegiale Notre Dame while planning their visit to Maison Joseph Drouhin. It was exellent experience! They sell wines also, you can buy good wine with reasonable price. I took english tour and could know how they make and preserve wine since Rome. At last, I could taste great 6 wines (3 whites + 3 reds). Really excellent tour and tasting. Our guide had near perfect English and a deep knowledge of the Drouhin operation and Burgundian wines. The wines themselves are superb. Clean and focused representations of their place. The tour — which you must book in advance — is worth the price. Please feel free to come and visit us. Always liked their wines but their tour and tasting is obnoxious and the staff are quite unwelcoming. It isn't clear from their site or this review page, but you need to book a time for a tour. You can't just walk in and taste. Anyway, I like their wines less after meeting these folks.